This post was inspired and sponsored by FRAAS. All opinions are always 100% my own. I don't know about you, but polka dots have taken over my life as of late. First it was nautical everything, then it was flowers and now it's polka dots all over the place. I go through a series of shape spurts in my fashion routine, and then recycle those spurts. I guess it's because I get bored easily and I love art? Spring is always the most fun to experiment with colors and shapes. You always find such a variety waiting for you in stores. 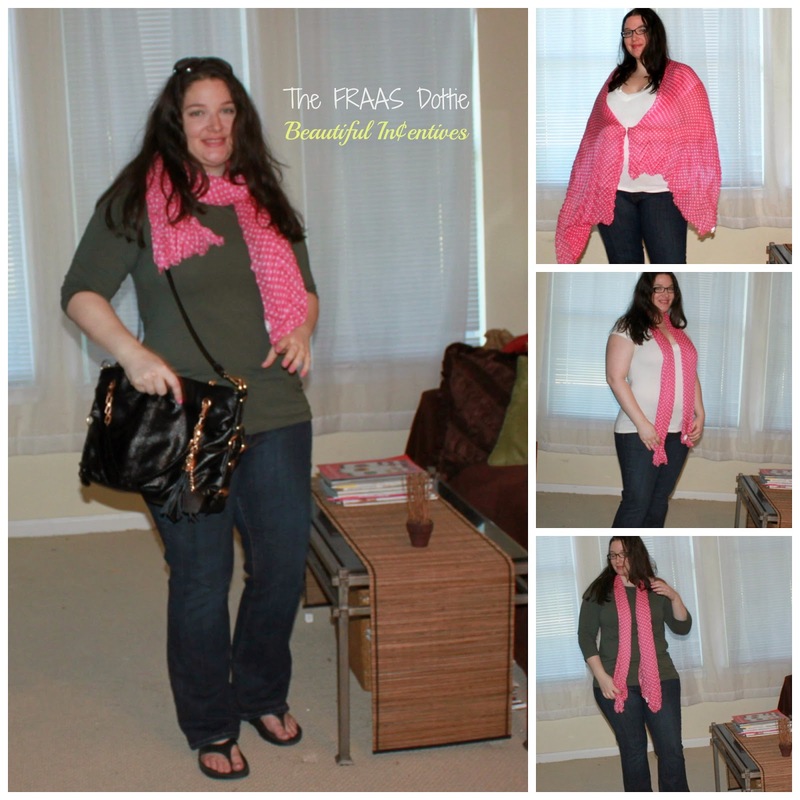 I am loving this new bright pink polka dotted scarf from FRAAS. This pink is so gorgeous and the design is just so cute. It also time travels me to the 50's era, when polka dot everything was popular, especially in scarves! I'm also wearing the perfect matching nail polish. It's called Sugar Coat, in "Cotton Candies" by Sally Hansen. It's got this really cool gritty texture I love and almost the exact same pink as the scarf. I also have it in a bright sunny yellow. I'm obsessed with this nail polish right now. You can get a good look at the texture I was talking about, in this pic. Can be worn is several ways: head wraps, waist wraps, sarongs and even a halter top. Great as a shoulder wrap on cool spring nights or indoors. This scarf is so big you can even put a few beach supplies or a bathing suit in a protective baggy and tie the scarf around it to tote around. Also comes in turquoise, yellow, pink, green and taupe. I'm in love with this scarf! If your outfit is too bland or missing that certain oomph, all you may need is a nice scarf to pull it together and there are so many different ways to wear a scarf. This particular scarf is very long and wide and works best worn classically wrapped, a shoulder wrap or a sarong would work very well. It's that big! You can grab this scarf for $32 retail! Find more gorgeous scarfs at the FRAAS store online and other retailers nationwide. Cute scarf! 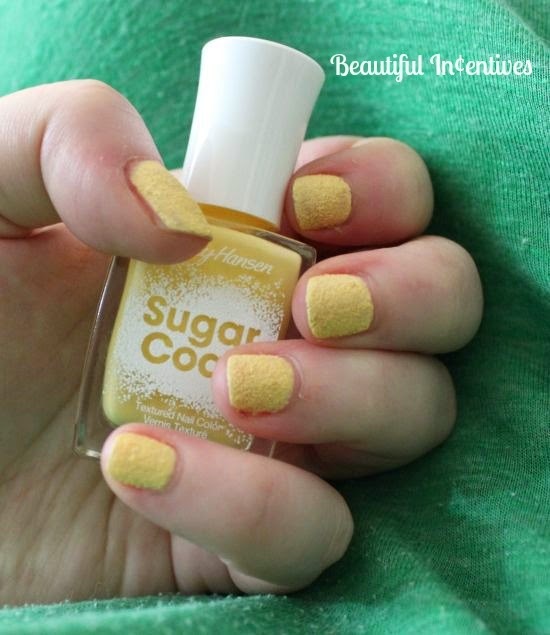 Love the yellow polish too... perfect for spring! Oh my goodness! I am in LOVE with that scarf! I love the color and the fact that it's long. I'm not a fan of short scarves. That scarf is beautiful, and that color looks great on you! I love that its thin. I love polka dots and this scarf is super cute! I'm sure you can style it tons of ways since it is so long. That scarf is TOO cute! It could go with anything! Love Polka Dots. They make me happy. They make me smile. And I love the pink on you. Looks great!! Wow that scarf is incredible! I love shawls too.